This is part two of two on Glass Rinsers. Part one covered why they are important, this part covers why they don't always work and how to troubleshoot. The rinsers are hooked up to a cold water supply. If installed correctly, they would T into the cold water supply line for the sink behind the bar. However this requires a plumber, which significantly adds to the install cost. Instead, many installers simply T into the water line that supplies the soft drink system. It is their equipment other people are messing with. It lowers the pressure supplied to the soft drink system each time someone rinses a beer glass, which causes issues. 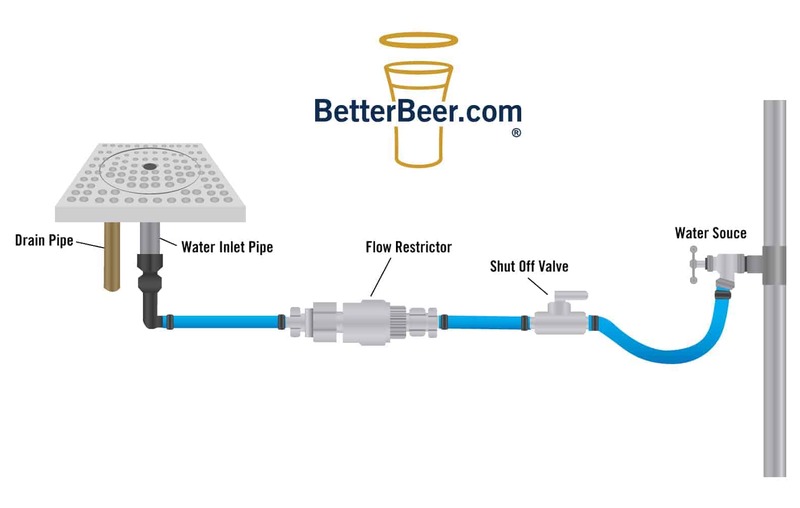 If installed properly, the high pressure water supply line (food grade) will come from a water line that runs behind the bar. Note that you could have a few rinsers hooked up to the same dedicated supply line if needed. Water supply for rinser comes from the soft drink system. The pressure provided from the cold water supply is typically about 70 psi, regardless if it is from the soft drink system or a dedicated supply. The rinser assemblies are only designed to hold 50 psi. The rinser assembly will begin to seep water; a slow drip from the top of the assembly. The water pressure coming from the rinser is very high – you may think it will blow the bottom of the glass off. The assembly will have much more restriction and you’ll notice that it takes a lot of power to push down on a glass to get the rinser to activate. Alternatively, it becomes much more sensitive, so only a slight touch will set it off. It won’t shut off without the bartender pulling the assembly up. 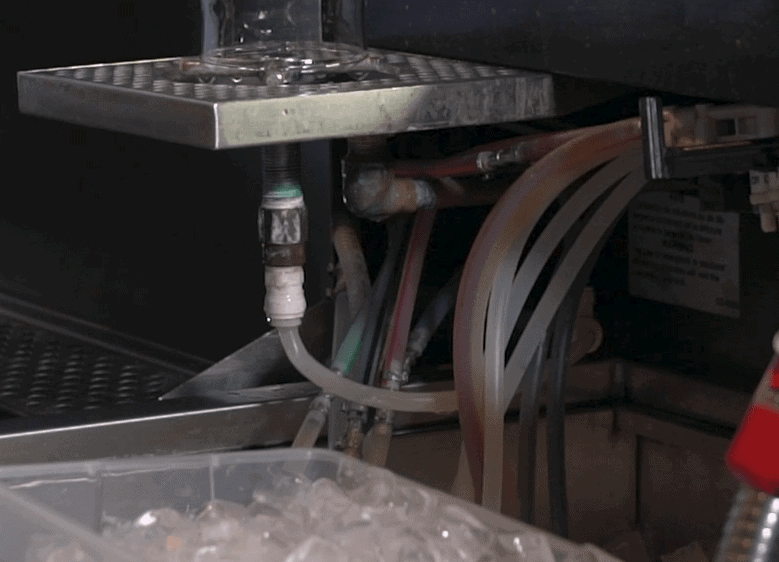 If all of the above are ignored, the rinser assembly simply gives way to the extra pressure and it breaks apart and floods the bar – and the entire restaurant if it happens in the middle of the night. 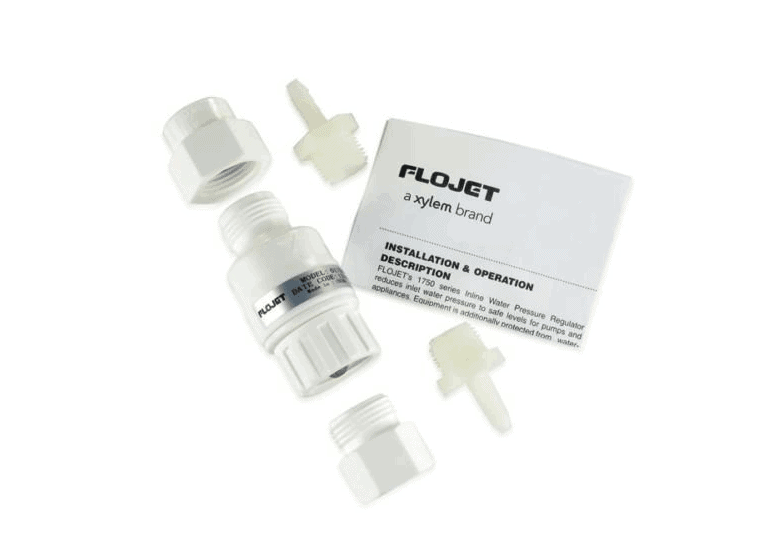 All of these are signs that there is no flow restrictor installed. 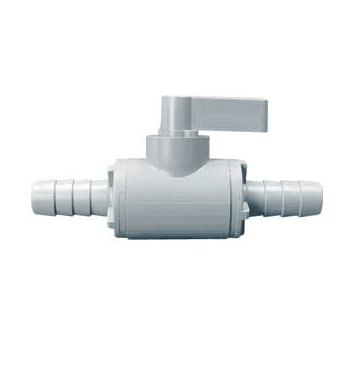 In order to allow for proper cleaning of the assembly and the tray, a water shut off valve should be installed between the water supply and the flow restrictor. How should we clean it you ask? Great question. With hot water every night. Pull the grid off and fill with hot water. Then wipe it dry. Send the grid back to the dishwasher to be cleaned with the spill tray grids. This also helps when replacing parts in the assembly and the restrictor, if needed. and a shut off installed on the line. Recall that we don’t sell or install equipment, so we can’t help you there, but your draught service tech will be able to take care of this install.